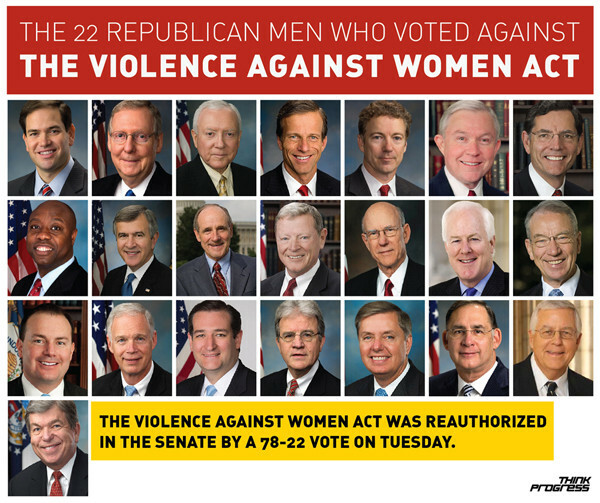 Earlier today, before giving his State of the Union rebuttal, Sen. Marco Rubio voted against the Violence Against Women Act. Bill Nelson was the lone Senator from Florida to support the measure aimed at providing a greater amount of women access to anti-domestic violence programs. Thankfully, Florida has one Senator fighting for the state's nearly 10 million women. Pitch in now. Floridians deserve to know Rubio's consistent record voting against our mothers, wives, sisters, and daughters.